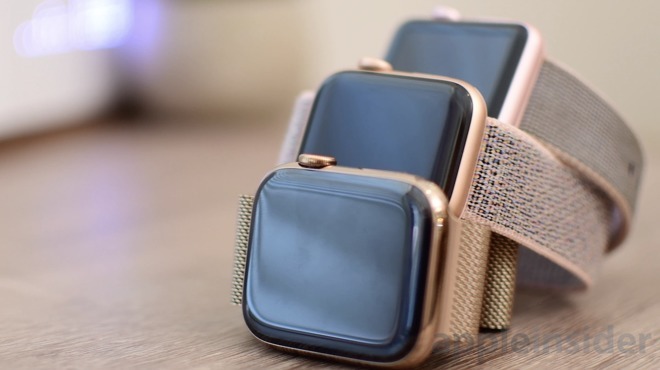 Stainless steel gold Series 4 (front), aluminum gold Series 4 (middle), aluminum rose gold Series 2 (back). As a bit of history, Apple has had gold variants of the Apple Watch for some time —including the original $10,000 and up gold Apple Watch Edition. 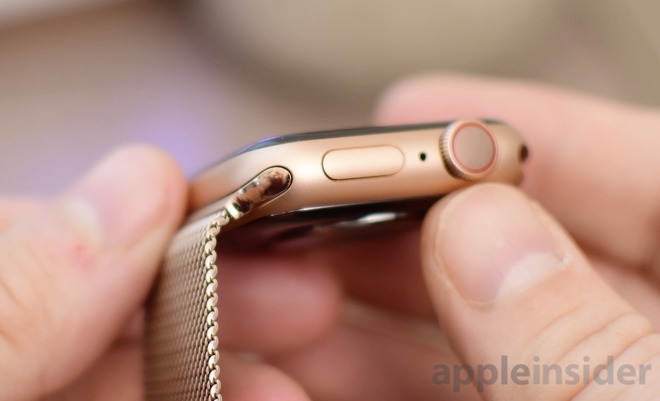 More recently, there was the rose gold Series 2, and the aluminum gold Series 3. For the Series 4, a stainless steel joins the aluminum. Our hands-on video clearly gives you the best look of the trio of finishes. There are a few things of note. In our time testing them, we found the stainless steel to be the better finish that will appeal to the most users. The matte aluminum has a bit more of a yellow hue, where the more reflective stainless leans a tad towards copper/brass. 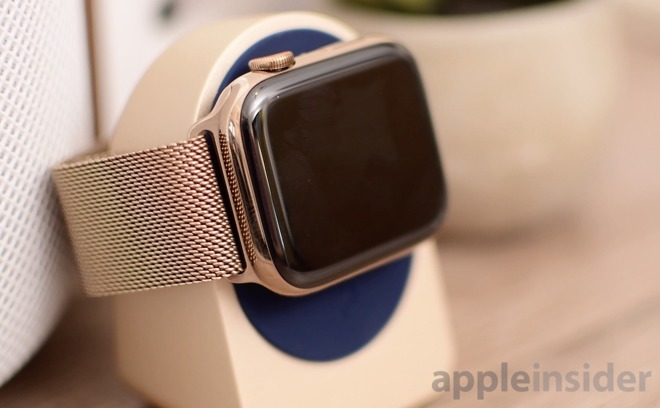 Recently, we took a look at the gold Milanese loop band that Apple also released, but we wanted to take a look at how that band looks on the aluminum, instead of the stainless as was featured in our review. As you can see, the Milanese loop features polished stainless steel lugs, which doesn't perfectly match the matte aluminum. Luckily, from the front, it has that matte finish we talked about earlier, and we feel that it blends in better. The band doesn't match as seamlessly as it does on the stainless, but it will only be particularly noticeable on close inspection. 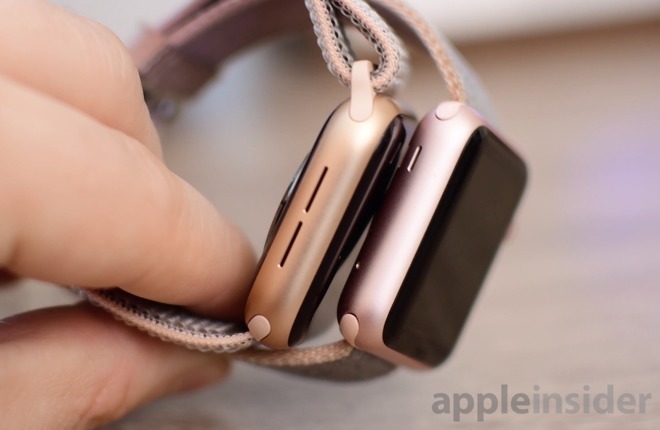 We also compared the aluminum and stainless vs the discontinued rose gold. All three versions of gold have their merits, but we think opting for gold over rose gold was the right move overall, and the stainless is particularly stunning to see. Still debating on the latest Apple Watch? Check out our review of the new Series 4. Not sure if you want to go with aluminum or gold? AppleInsider's handy guide walks you through the differences and helps you decide.